This stylish pinch front fedora is made of a luxurious wool felt with a soft satin lining. 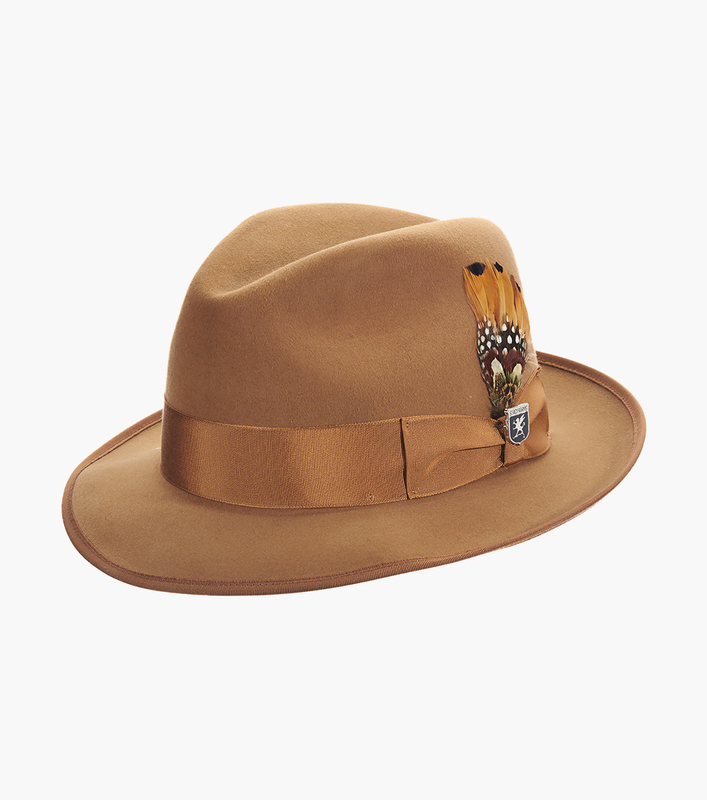 The 2” brim is adorned with a tonal band and a pheasant feather. The perfect finish touch for a great cool weather look.